As summer continues apace, many of us are turning our attention to those all important holiday reads. 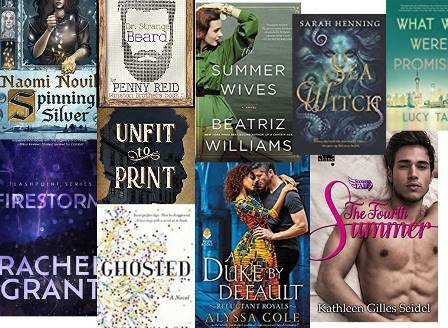 Whether you want light-hearted fluff, gritty suspense, or something in between, the AAR team is here to give you some ideas of which upcoming books we think you’ll want to stuff into your suitcases or load onto your e-reader, whether you’re going on vacation or stay-cation. Blurbs have been comparing this to The Dinner, We Need to Talk about Kevin, and even better… The Bad Seed. Hanna’s Daddy adores her and thinks of her as a sweet angel. A very quiet sweet angel. Hanna loves her Daddy. Her Mommy? Not so much. Hanna thinks her Mommy is in her way. Only Hanna’s mother, Suzette, fears there is something very wrong with Hanna. More than a month before its release, this debut novel is already garnering controversy. I really liked the author’s last book, so let’s see what’s next… Andrea thinks she knows her mother Laura better than anyone. Until violence interrupts at a mall, exposing her mother’s secrets. Not long after, someone from the past tracks Laura down and shoots her. Whoah! This one sounds at least as exciting The Good Daughter. A young adult novel about mermaids? From the Katherine Tegen Books imprint no less! I think I want it already. Wait. It’s also the origin of the villainess from Hans Christian Andersen’s The Little Mermaid? It’s also set in Denmark in the 1800s? And there’s a love story? Click! Woohoo! The third book in Rachel Grant’s fabulous Flashpoint series is out this month and it’s another book I’m really eager to get stuck into. The author’s blend of politically astute, high-octane, steamy romantic suspense has become one of my favourite cocktails! 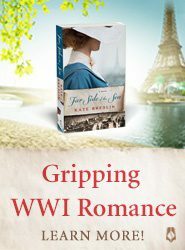 This is the début novel from Scarlett Peckham, a recent Golden Heart RWA finalist. Débuts are often hit-or-miss, but I’m curious about Ms. Peckham’s twist on traditional gender roles – she’s an alpha heroine, he’s a duke who enjoys submitting – and I’ll let you know what I think in my (upcoming) review. Wolfsong, the first book in the Green Creek series, was my favorite book of 2016. I loved everything about it – and I went on an author glom the moment I finished it. In Ravensong, we learn more about Gordo Livingstone, a pivotal secondary character in Wolfsong who acted as a father figure to Ox. Abandoned by the Bennett pack as a young man, Gordo found solace in Green Creek – until the pack returned and he was forced to help them once again. Second chance love, redemption…and magic. Ravensong is one of my most-anticipated novels of 2018. This is a début book by a Chinese-American author. Born in China and educated in America, a Chinese family moves back to China into the nouveau riche society of Shanghai. The wife is no longer working, the husband isn’t too pleased with his job, and there’s stress in the marriage from the wife’s unvoiced feelings for the husband’s brother. All these tense events are observed through the eyes of their silent housekeeper. The heroine’s cursed! Three betrothals have ended in each groom’s deaths. Who in the world would get engaged to her, much less marry her? Only one brooding Irish prince is willing to risk his person, because the advantages outweigh the risks. I have enjoyed some of Michelle Willingham’s work before, and I’m looking forward to this one. Ms. Walsh wrote four previous incredibly intriguing women’s fiction/mystery novels under the name of Lucy Robinson. This is the first under her real name. Boy meets girl and they fall in love; he’s going on a trip and says he’ll call her from the airport. He never does. It’s rare that a Romanov novel assume the point of view who’s not the lost Anastasia. This one takes place before the Russian Revolution and is from the point of view of Maria, Nicholas’ mother, which is interesting enough to have won a pre-order from me. 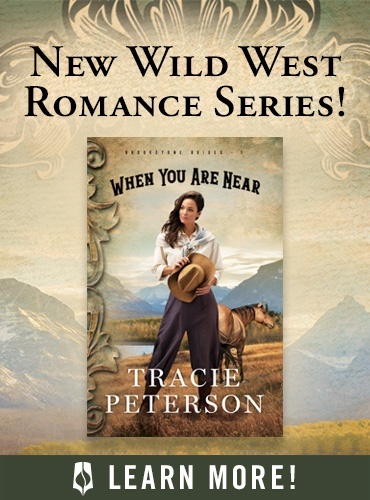 In this interesting mix between the supernatural and a western, an abandoned orphan must chose between marrying for money or trusting in the magical power of a divinater whose riches come from more than gold. Sounds fascinating! The third volume in this mystery series about time-displaced FBI agent Kendra Donovan sees her traveling with the Duke of Aldridge through Yorkshire, where she becomes enmeshed in the Luddite rebellion. The whole series has been great so far, I’m sure this one won’t disappoint. Novik’s Uprooted was a fabulous fairy tale retelling and I am counting on this one to be equally good. This latest novel tackles Rumpelstiltskin in a new and exciting way and I can barely contain my glee. I’ve read all of Ms. Seidel’s previous works and am so excited she has started writing again. I laughed a lot when I read Jackie Lau’s first romance in her Kwan Sisters series, Grumpy Fake Boyfriend. It starred an introverted science fiction writer and had a best friend’s sibling trope and delivered a story with high heat and humor. I’m hoping that this second in the series is just as good. Kelly Jamieson knows hockey inside and out, and it shows in her various hockey romance series. 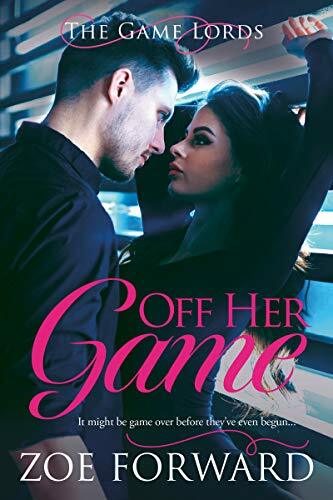 Playing Hurt, the latest in her Aces Hockey series has a topical premise – a twitter flirtation between a player with a bad boy reputation and a pop star – that looks like a fun read, but will no doubt contain some emotional scenes on the way to their HEA. I’ve heard lots of good things about Maria Vale’s début PNR story The Last Wolf, so I didn’t want to miss the chance to read her upcoming story A Wolf Apart. I read mostly contemporary romance, but when the opportunity presents itself, I like to switch up my romance genres and shifter romances are one of my go-to palate cleansers. Shari Lapena’s latest novel looks like exactly the kind of spine-tingling read I’d love to curl up with during a summer thunderstorm. It’s the story of a group of strangers vacationing at a remote inn. A terrible storm sweeps through, trapping everyone at the inn, and then, the first body is found. I can’t wait to get my hands on this one. I wasn’t nuts about J.P. Delaney’s debut novel, but the synopsis of Believe Me caught my eye a few months ago. Who doesn’t want to read about an actress doing her best to play both sides of an ongoing murder investigation? I’m definitely ready and waiting for it to be released. * Keira asked that this sentence be changed to be clear that she was referring to someone who lives in the big city. I’m looking forward to Dr. Strange Beard and Penny Reid’s take on the hipster. Like Reid, I’m from the Pacific Northwest where hipsters abound and I think Roscoe is going to be so fun, as well as a figure of mockery from his brothers. I can’t wait. I want to read Rachel Grant’s Flashpoint series. Eloisa James has Born to be Wilde coming out July 31st and I like the cover of this one. I might get it from the library after her last one, Too Wilde to Wed. TWTW started off really good but the h became tedious and annoying. Kristen Ashley has another Chaos book being released July 31st. The Chaos series is not my favorite but I’ll still check it out because I’m a K. Ashley fan. I am interested in the Novak book after really enjoying Uprooted. I keep hoping there will be a sequel to Uprooted because the ending felt incomplete. I’m also looking forward to Reid’s new one, Dr. Strange Beard. A Wolf Apart and Spinning Silver are on my ‘want to read’ list. Henning’s book looks potentially interesting, as I do often like books inspired by fairy tales. Dr. Strange Beard and A Wolf Apart are at the top of my list but Cole, Charles, Sebastian, Albert, Reyne are all close seconds. Curious to see what Seidel might be writing after such a long break. And the Michelle Willingham is new to me but sounds interesting. It should be a great summer for reading! Thanks for all the reminders/recs. I tried the Ranney – sadly it wasn’t her best, but To Catch a Texas Star was great! Thanks, Lisa! I have some favorite Ranneys, of course, but I always enjoy her books, even those that others may not have. I love her voice and writing style that just touch me somehow. And I’ve loved all the Broday books too, so I’m glad you enjoyed it.